Whenever someone says that word, I tend to think of the board game. Maybe you had one when you were a kid. Perhaps you currently have one hanging out in your game closet. My brother and sister and I used to play Operation when we were kids. Of course, it didn’t take long for us to lose half of the pieces. When the batteries wore out, I think my parents claimed we didn’t have the correct-sized batteries to replace them … which meant that the operating doctor was on the honor system for admitting when he or she had messed up. I was never very good at this operating game. I tried so hard to pull out the tiny bones, but my hands were always too shaky. For a brief time in my younger life, I thought perhaps I might like to be a doctor or a nurse. After all, I liked biology class. Then I realized I was not a blood person. I don’t even do well with tiny scraps. I have fainted at the sight of my own blood several times. Between Operation (the board game) and the problem with blood, I soon figured out that I was not cut out to be employed in the medical field. I’ve had two operations in my life. Three, if you count my wisdom teeth being removed under sedation, but since that was at the dentist’s office and not in a hospital I don’t normally include it among my actual surgeries. 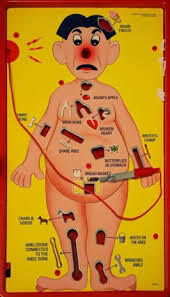 The first operation was a tonsillectomy when I was not quite four years old. I have a lot of strange, strange memories about that event. For example, I remember the nurse telling me she would look like a frog when she came to get me for my surgery. 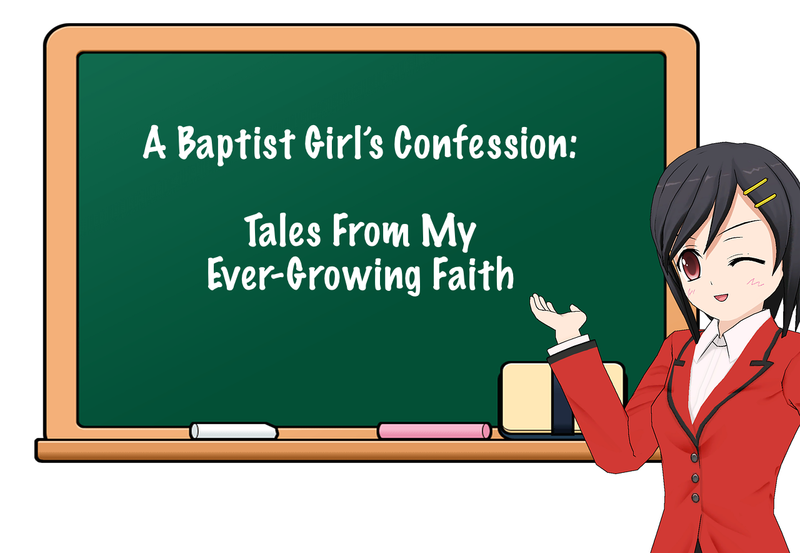 All night long I wondered how she was going to turn into a frog. I was surprised to see the next morning that she still looked rather human to me. I suppose she thought the green mask covering her face made her appear frog-like. I actually can remember waking up in the recovery room, as well as feeling a little miffed that I didn’t get to count all the way to ten before I fell asleep for the operation. My second surgery was just two years ago. I had my gall bladder removed. Oddly enough, I don’t recall much about that operation. The one thing I do remember is that just prior to putting me completely under sedation, the anesthesiologist asked me if I liked the music selection. Already feeling a little inhibited from the happy cocktail I had taken half an hour earlier, I told him that I didn’t really like his music choices at all. The man laughed and said, “Well, I don’t guess that matters much at all.” That’s really the last thing I can actually remember before waking up at home in my bed two days later. Two of my five children (Nathan and Megan) have had their tonsils and adenoids removed. Nathan has had five sets of ear tubes, and a tympanoplasty (ear drum patch), as well. None of them has ever had a surgery that has required an overnight stay in the hospital. Even my own gall bladder surgery was out-patient. On May 4th, my son Joel will be having major surgery to correct a chest deformity, pectus excavatum. While many people have this deformity and choose to have it surgically corrected, most of the time it is purely for cosmetic reasons. For Joel, this is not the case. His sternum sinks so deeply into his chest cavity that it is now compressing on his heart and pushing it to one side. He simply doesn’t have room in his chest for normal heart and lung function. A surgery is definitely necessary. But it won’t be the out-patient variety. Joel will be going through something very similar to open-heart surgery, except the operation isn’t on the heart. His chest cavity will be opened. He sternum cut way from the ribs and repositioned with wires. He will need to be hospitalized for 3-5 days before coming home, and then it will be 4-6 months before his has a full recovery. This is a really big and scary sort of operation. Sometimes God surprises us, even in the middle of difficult and trying circumstances. That has definitely been the case regarding Joel’s surgery. Four years ago, Jon was dying from a heart infection. Dr. Tedesco was the many doctors God used to save Jon’s life. He surgically removed the infected mitral valve and gave him a brand-new teflon mechanical valve. I’ve been forever grateful to God for sending Dr. Tedesco to be a part of Jon’s medical team. Of course, that doesn’t mean I’m not worrying. I am. I’m the mom. I still see my 6′ (and still growing) boy as my baby. But, even I have to admit that there is peace in the middle of the unknown. Jon & I humbly ask if you would remember Joel in your prayers. Previous Article No Naps: Not Now, Not Ever … Never! Joel, your family, and Joel’s medical team will be in my prayers for the best possible outcome. It sounds like Joel will be in good hands, God’s and Dr. Todesco’s. I am wishing you all the best as it gets closer for a successful operation and a speedy recovery to a life of health and happiness for your son Joel. Thank you! I really believe that once it is all said and done, this will have turned out to be a good thing for Joel. Still, I’m his mom and I hate to see my child going through any sort of pain. Thanks for the prayers … we appreciate those so much! Thank you for the prayers, Wally! No need to worry for sure…. Thank you, Stacie! I will keep you updated on Joel’s recovery. Our family will be lifting Joel up in our prayers …thanks for letting us know, and may each of you feel God’s comforting presence in a special way! Thank you for the prayers, John Mark. We certainly covet all that we can get, knowing it is through the prayers that we will experience God’s peace and comfort.